The Jewish intellectual Jacob Taubes (1923-87) is surely one of the most eccentric figures of twentieth-century philosophy. A political thinker of the far left, Taubes’ greatest intellectual debt was to the arch-conservative German jurist Carl Schmitt. An ordained rabbi, his work was driven by a penetrating engagement with Christian theology, in an attempt to lay bare the roots of modern political power. With Schmitt, Taubes believed that in today’s world everything is theological (except perhaps the chatter of theologians). 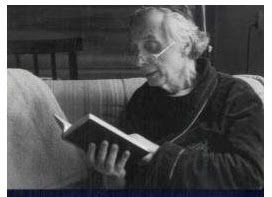 He began his career with a doctoral dissertation on the secularisation of Christian apocalyptic – a vigorous response to Hans Urs von Balthasar’s work on the same theme – and ended his career, just weeks before his death, with lectures on the explosive political impact of Paul’s epistle to the Romans. At the centre of all Taubes’ work is an attempt to rehabilitate radical Paulinism in the interests of a Jewish apocalyptic politics. In this connection, he returns again and again to Karl Barth, and his reading of Barth is as profound as it is idiosyncratic. In Taubes’ view, Barth’s interpretation of Paul is ‘perhaps the most significant contribution to the general consciousness of our age’; like Luther, Kierkegaard and Marcion, Barth is a true interpreter of Paul who unflinchingly pursues the ‘heretical’ implications of Paul’s dialectic of law and grace. In Barth’s interpretation of Paul, Taubes finds a recovery of the ‘nihilistic’ impulse of apocalyptic politics. The illegitimate nomos of the world is passing away. Neither quietism nor revolutionary zeal counts for anything; what the world needs is neither conservation nor reform, but annihilation and recreation. But although Taubes appropriates much of Barth’s political theology, he argues that Barth’s thought finally remains snared in the tragic aporia of all Christian theology. Dogmatics presupposes the existence of a Christian tradition, and the church’s institutional tradition necessarily erases the footprints of its own apocalyptic origins. There can be no theological resolution (since theology is itself the symptom) of the conflict between apocalyptic event and ‘the brute fact of a continuing history’. Although Taubes’ critique rightly describes the judgment under which all theology is carried out, Barth’s entire theological project can be read as an attempt to destabilise the self-evidence of the church’s existence, and to suspend the Christian community in a precarious apocalyptic moment ‘between the times’. Taubes’ political appropriation of Barth/Paul should therefore also be modified: what his political nihilism lacks is a good dose of ecclesiological nihilism – or in Barthian terms, the (politically charged, but never secularised) concept of witness. The church’s witness to divine action is always simultaneously a gesture to its own provisional status, an acknowledgment of the abyss of judgment over which it is suspended – and thus also a witness to that strange anarchic grace by which God’s people are gathered into being out of nothingness.